Find all that you need to know about the Arrondissements of Paris (Paris Districts) in our quick Guide to Paris by Arrondissement. Planning your first trip to Paris can be challenging: what is the best arrondissement to stay in Paris? Which Paris Arrondissements are the best to hang out? There are many possible answers to these questions, it really depends on how you are and what you like. Go on reading this Paris Arrondissement Guide . 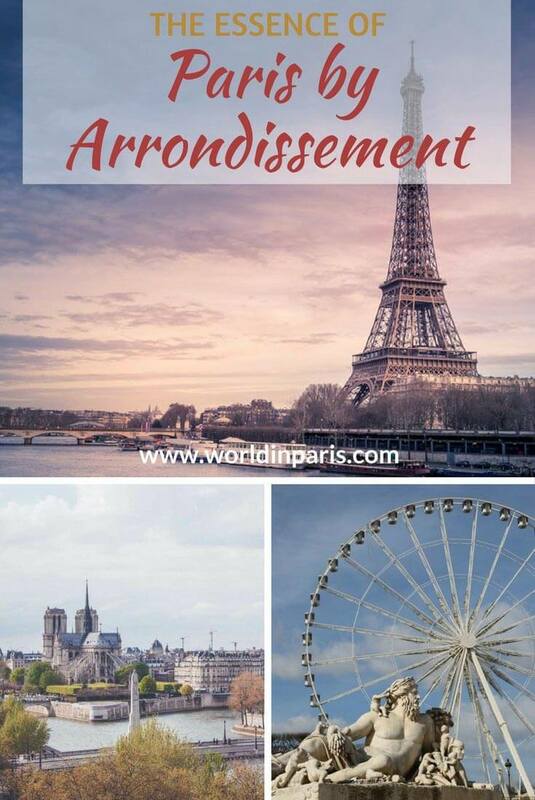 . .
What does “Paris Arrondissement” mean? The Arrondissements of Paris are administrative divisions. Paris is divided into 20 Paris Arrondissements (or Paris districts). 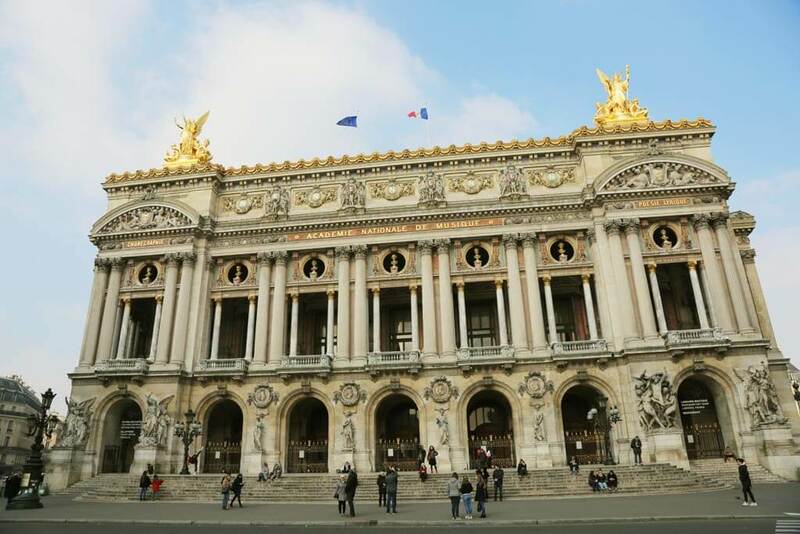 In each District of Paris, there is a town hall (Mairie) and a mayor (Maire), as well as elected officials, a council, a politician and so on. Of course, the 20 Arrondissements of Paris are still subject to the overall policy of the city and the mayor of Paris, the socialist Anne Hidalgo. The Arrondissements of Paris are not to be confused with the Parisian Quartiers (Paris Neighborhoods). Parisian Quartiers, like Belleville, Saint-Germain-des-Près and many more, are historic neighborhoods while the Arrondissements of Paris exist only since the XVIIIth century. An Arrondissement usually includes many Paris Neighborhoods within its boundaries. 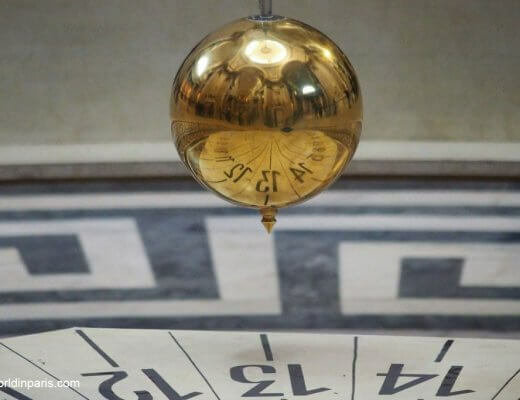 To find your bearings in Paris there is a little trick: the 1st Arrondissement of Paris is in the center of the city, then the other Paris Arrondissements are located forming a spiral turning clockwise, to finish in the 20th Arrondissement in the east. Choosing the best Arrondissement to stay in Paris is a difficult decision. More than simple divisions, the 20 Arrondissements of Paris have their own character and charm. They all tell locals and visitors alike different stories about Paris. On our Paris Arrondissement Guide, we try to give a good breakdown to all the Paris districts and tell about their essence. If you want to know more about a specific arrondissement, check our Paris by Arrondissement posts here below. On these posts, we give a deep insight into each district and our best tips to explore Paris like a local. We started this series of posts in April 2017 so it will take us some time to reach Paris 20 but we will make it! The 1st Arrondissement of Paris is one of the must-see districts of Paris. If this is your first time in Paris you want to include Paris 1 in your Paris itinerary because many of the famous Parisian monuments and sights are located in this district. This is the district of the Kings of France, with the Royal Palace, Tuileries Gardens, the Louvre or La Cité Palace, and the Seine River, best enjoyed from the water on a Seine River cruise. There is no need to state that this is one of the most sumptuous Arrondissements in Paris and also one of the most expensive arrondissements in which to stay. On the other hand, Paris 1 is also the district of Les Halles. This neighborhood, historically known as “the belly of Paris” because of its huge central market, is less upmarket than the Louvre neighborhood but you’ll have more chance to find local life (and better prices) here. 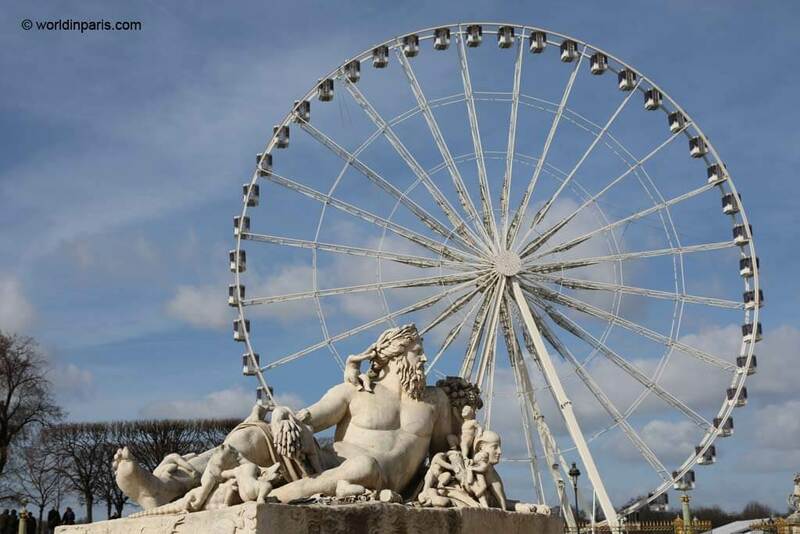 Come to Paris 1 for its monuments, elegant squares and to enjoy the banks of the Seine. Learn the best way to visit the Louvre in 2 hours! The 2nd Arrondissement of Paris is organized around the old Stock Market of Paris, with many banks and beautiful shops. Paris 2 is the smallest district of Paris, with a strong commercial character. It also houses the textile industry, so come here if you are fabric shopping. There are not many top tourist sites in Paris 2 but it has beautiful architecture, Grands Boulevards, and foodies will be very happy to walk along Rue Montorgueil, one of the best food streets in Paris. The most beautiful sights to visit in Paris 2 are the Covered Passages. Most of the Covered Passages in Paris are located in this district. Come to Paris 2 for its shopping, restaurants, bars, and cinemas. Half of the famous Le Marais (which is neither an Arrondissement nor a District) is located in the 3rd Arrondissement of Paris. Paris 3 is a lively and trendy district, with many faces. You will find lots of high-end art galleries close to Beaubourg (which is in Paris 4) while its winding old streets are full of vintage shops and beautiful hôtel particuliers (rich private houses), some of them turned into interesting museums (e.g. Picasso Museum). Paris 3 is also home to the first Chinese community in the city so it is a good opportunity to find cheap and authentic (Asian) food on their streets. 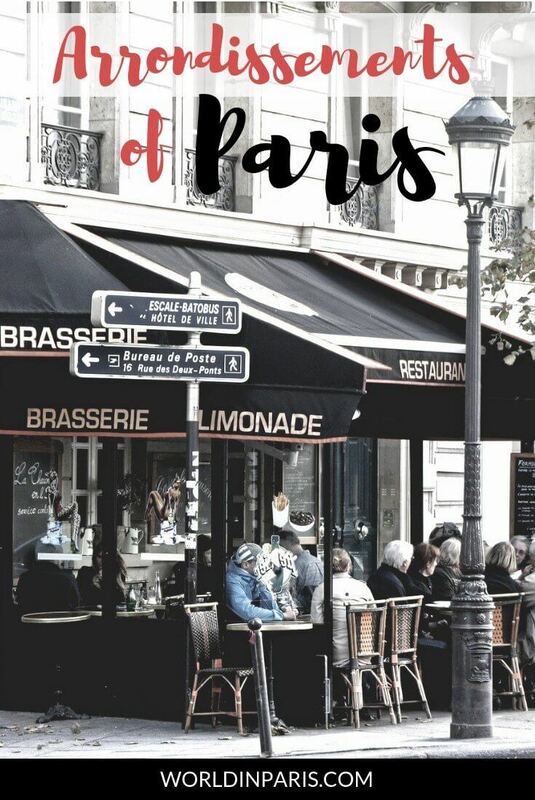 Come to Paris 3 for its beautiful cafes and wine bars, vintage shops, hôtels particuliers, and art galleries. The 4th Arrondissement of Paris is where you can find the other half of Le Marais but it is also the district of Ile de la Cité, Ile de Saint Louis, and Hôtel de Ville. There are plenty of things to do in Paris 4 for locals and tourists alike. For this reason and because this is one of the most beautiful Paris districts, the 4th arrondissement is our favorite District of Paris. Some of the top tourist attractions in Paris like Notre Dame, or Centre Georges Pompidou are located in Paris 4 but this is also a district for pleasant walks. Paris 4, and to be more specific the streets around Hôtel de Ville, is the gay district in Paris since the 1990s and you will see many rainbow flags in this area. If you are looking for gay bars in Paris or gay parties in Paris, the 4th arrondissement of Paris is the place to go. Come to Paris 4 for lots of history, shopping, interesting walks and to enjoy (again) the banks of the Seine. The 5th Arrondissement of Paris is where the Romans settled for the first time, founding the city of Lutetia. 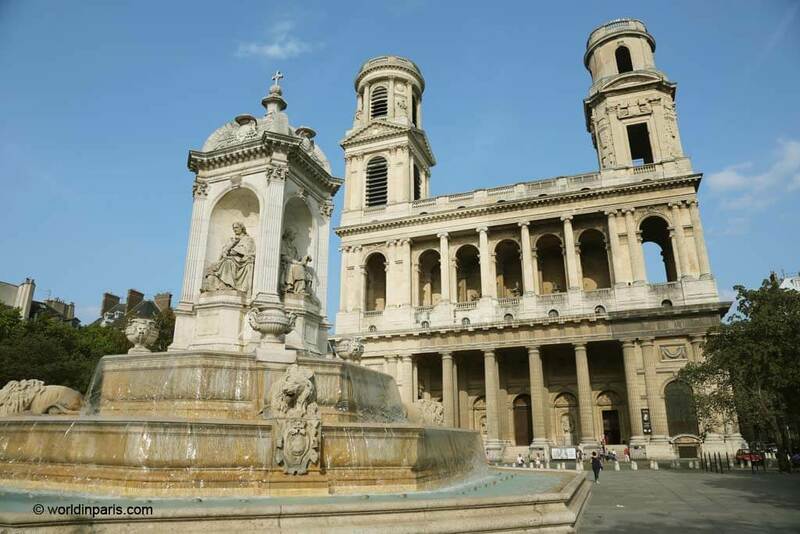 This is a district known worldwide for its history and culture, with sights like the Panthéon, the Roman Arenas (Les Arènes de Lutèce) and the Cluny Museum. The oldest district of Paris, sometimes called the Latin Quarter, is also the district of students because many historical universities like la Sorbonne were founded in this area during the XIIth century. We like Paris 5 for its lively student atmosphere, especially around Rue de Mouffetard and Place de la Contrescarpe. 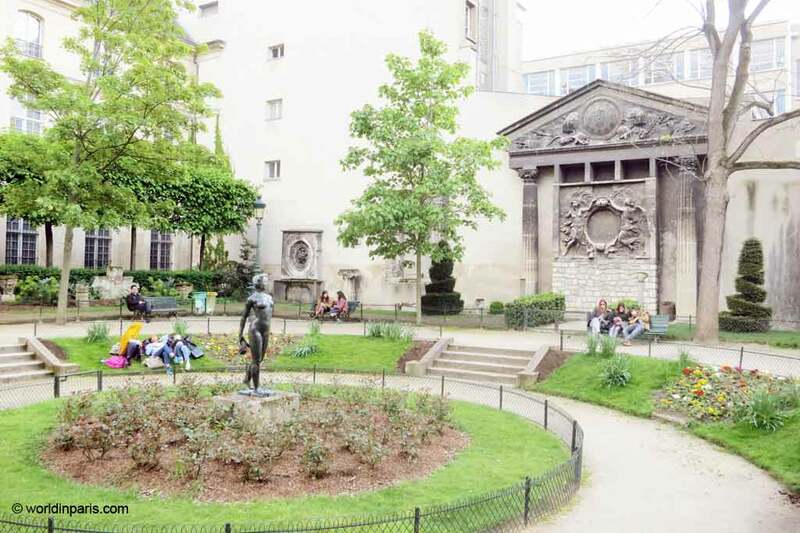 Come to Paris 5 for its Roman remains, lots of history and student life. The 6th Arrondissement of Paris is world known for its famous Quartier Saint-Germain-des-Prés, meeting place of students, artists, and intellectuals during the Roaring Twenties. Still, visitors come to Paris 6 looking for this long since disappeared cool atmosphere and they are ready to pay ridiculous prices in places like Cafe de Flore or Cafe Les Deux Magots. Today Paris 6 is home to Luxembourg Gardens, Saint Sulpice Church, beautiful architecture and nice winding streets. It is also a great district for foodies in Paris, with beautiful gourmet shops, chocolate & pastries shops and with many Food Tours proposed. Come to Paris 6 for luxury boutiques and art galleries and to see lots of tourists ready to empty their wallets. How much is the coffee you said? How much?!!! The 7th Arrondissement of Paris is the bourgeois district of Eiffel Tower, and Invalides, as well as big avenues and beautiful hôtels particuliers transformed today into embassies. 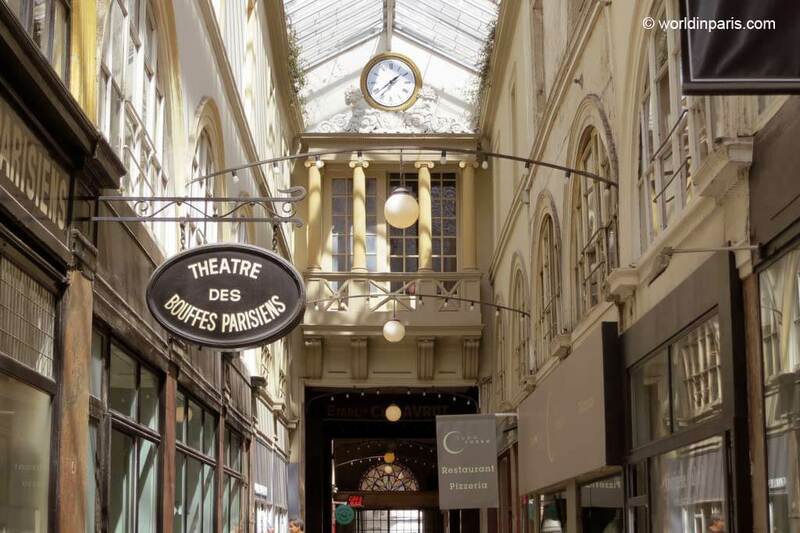 The only lively part which deserves a mention on this post are the streets around Rue de Bac, at Quartier Sèvres-Babylone, full of nice haute-couture and prêt-à-porter shops and other beautiful stores. 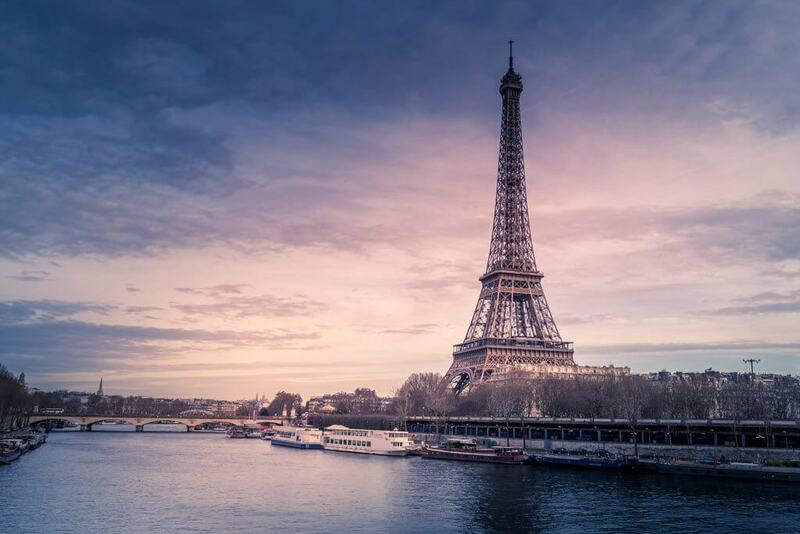 Come to Paris 7 to see the Eiffel Tower, which celebrates its 130th anniversary in 2019!, and other interesting museums like the Rodin Museum, the Orsay Museum or the Quai Branly Museum. This is the district of fashion and luxury symbolized by the famous “Golden Triangle” formed by Rue Montaigne – Rue George V – Avenue des Champs-Élysées. This is also the district of l’Elysée, the French President’s official residence, the Arc de Triomphe, and two of the best Cabarets in Paris. For all these reasons and more, Paris 8 is expensive, very expensive. Come to Paris 8 for luxury shopping and for beautiful views from the top of Arc de Triomphe. From the Pigalle neighborhood to Opéra Garnier, this is a trendy district where things have not changed much in the last 30 years. 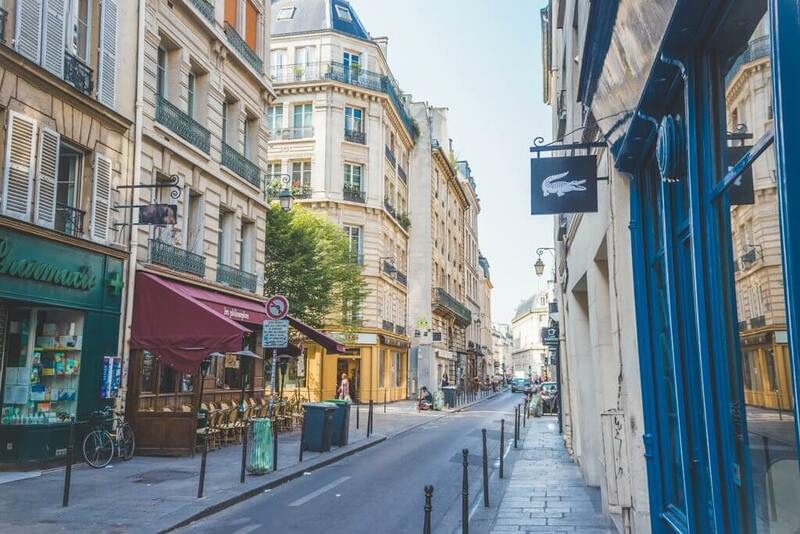 A lively district with its old cafes, offices and Haussmannian architecture where we still can find a true neighborhood life. Paris 9’s location, close to the Grands Boulevards and Montmartre, is perfect to visit easily Paris’ main sights and to enjoy a little bit of nightlife. Come to Paris 9 for its life, with lots of things to see and do. Paris 10 is one of the trendiest districts in Paris, eternally linked to Canal Saint-Martin waterway and iron footbridges. This is a district of bobos (bohemian-bourgeois Parisians), with agreeable cafes and vintage shops, hurt forever by the Amélie Poulain film. BUT this is also the district of two big train stations: Gare du Nord and Gare de l’Est, with an always busy and popular atmosphere around. Some bars at rue de Faubourg Saint-Denis are very cool. Come to Paris 10 to wander, for vintage shopping and evening picnics along the canal’s banks. Come to Paris 11 to party and have fun. Paris 12 is one of the main Paris residential areas. 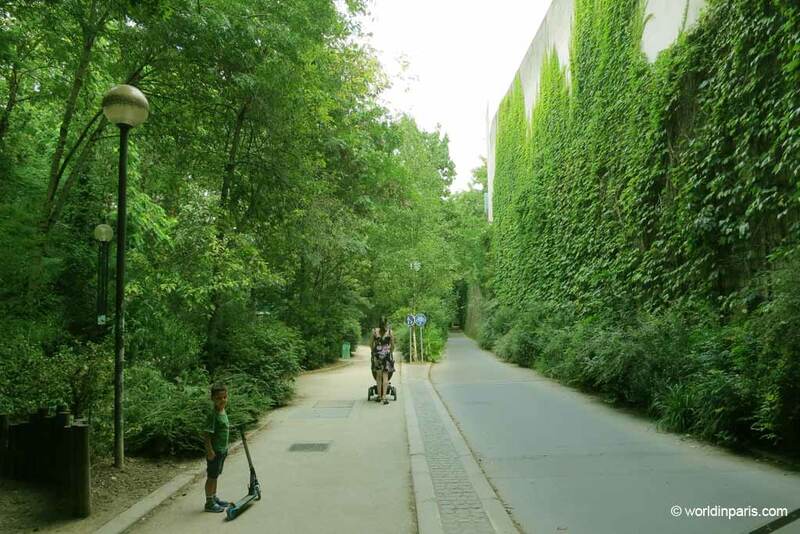 Also, it has the honor to be the greenest district of Paris, home of Parc Floral, Bois de Vincennes, and Parc de Bercy. This is a very sleepy district but still, sights like La Coulée Verte or a glass of wine in good company at Bercy Village are worth the visit. We like Paris 13! 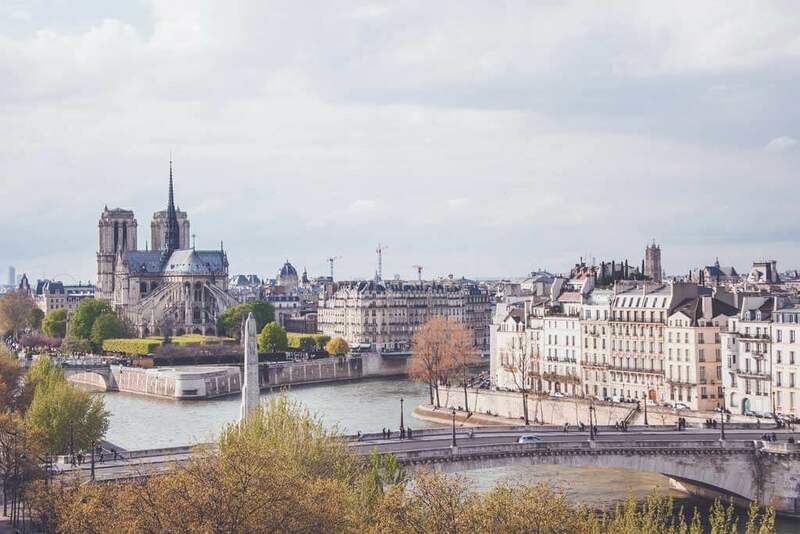 A kind of no man’s land with a very popular character and a strong Chinese population, this district of Paris has some cool things to see and do like the arty Butte-Aux-Cailles neighborhood, some quintessential Paris bistros or its incredible Street Art. 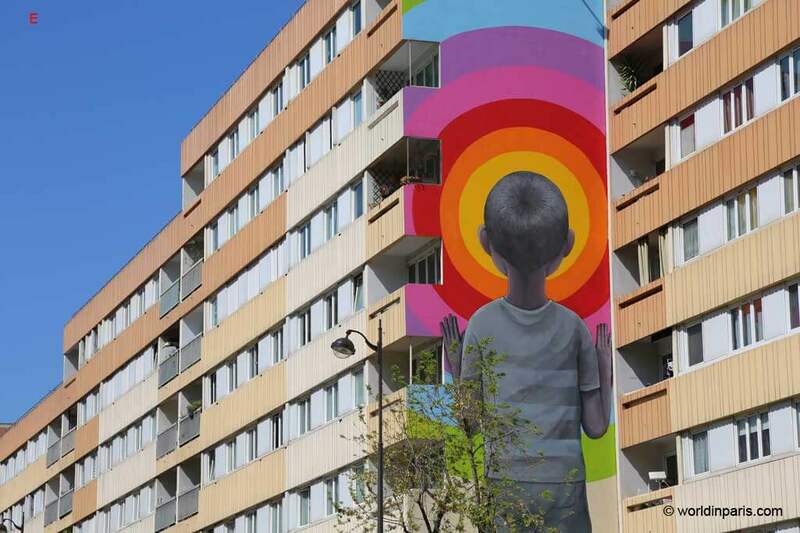 The Mural Program in Paris 13 has invited the most renowned street artists in the world to give some color to this district of Paris. If you are a curious visitor, we urge you to give it a chance. Come to Paris 13 for some great Paris Street Art and the Chinese’s New Year Parade. Paris 14 is very calm and somewhat strange. However, Paris 14 has the honor to host Parc Montsouris, one of the most beautiful parks in Paris, and also some of the most interesting sights of our Paris Underground Guide, like the Catacombs of Paris. In Paris 14 we like the Cité Universitaire de Paris, with its architecture from the 4 corners of the world and its student atmosphere. You will probably want to come to Paris 14 to see the Paris Catacombs. Ouff! This is another Paris residential area where we are always too lazy to go to. 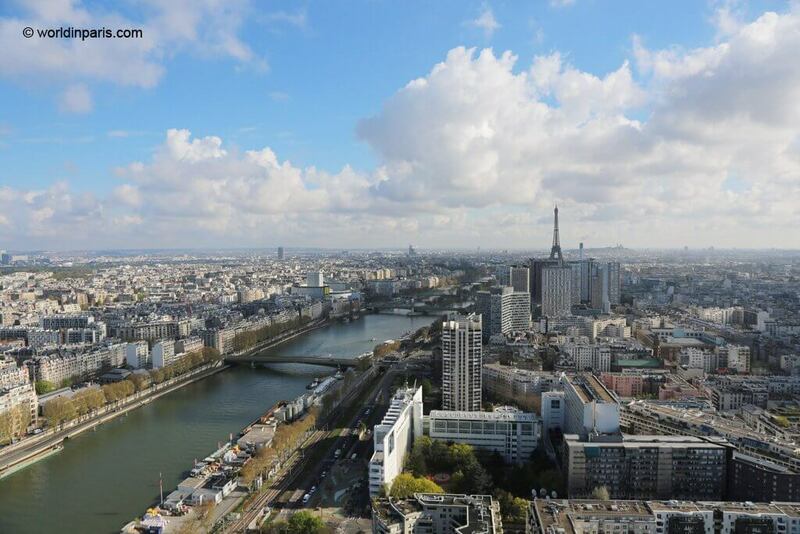 Paris 15 is the most populated district in the city, it is as if everybody wanted to live in this arrondissement! Definitely a family district, very quiet, with no special character, and a long way from everything. This is an upscale residential district. It is where the rich people of Paris live. Some of the most luxurious hotels in Paris, like the Peninsula Hotel, or Hotel Raphael are located in this district and their elaborated rooftop bars are a cool place to enjoy fantastic views of Paris with your favorite cocktail in hand. 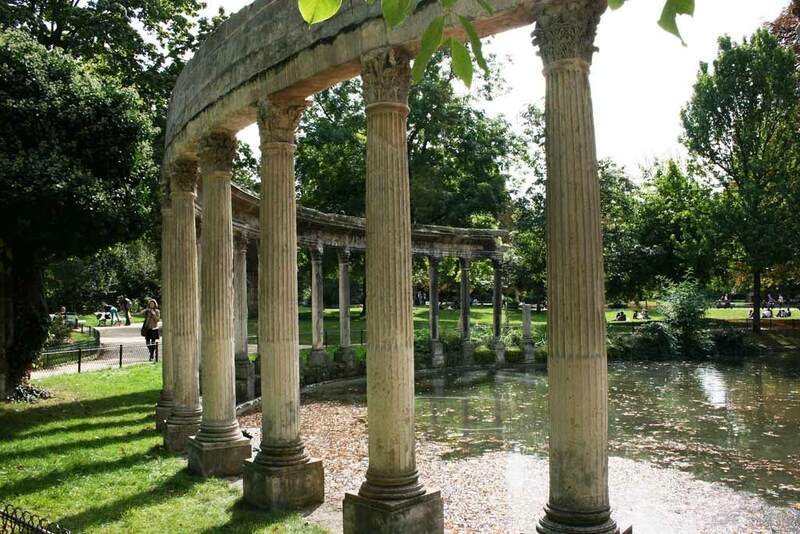 Also, there are interesting museums and in Paris 16 Arrondissement you are never far from the beautiful Bois de Boulogne, perfect for running, a picnic or just a lazy day on the grass. Come to Paris 16 to see the beautiful Art Nouveau Architecture (most of Guimet’s works are in Paris 16) and for some interesting museums. MAIN SIGHTS: Palais de Tokyo, Musée de l’Homme, Musée Guimet, Fondation Louis Vuitton, Cité de l’Architecture et du Patrimoine, Musée Yves Saint Laurent, Musée Marmottan-Monet. This district is formed by 3 very different neighborhoods: merchant Quartier de Ternes, bourgeois Quartier Monceau, and arty Quartier de Batignolles. What can we say about Paris 17? We were living there many moons ago, but it was so boring that we escaped after three months! Come to Paris 17 see beautiful the luthier shops (stringed instrument makers), at rue de Rome. 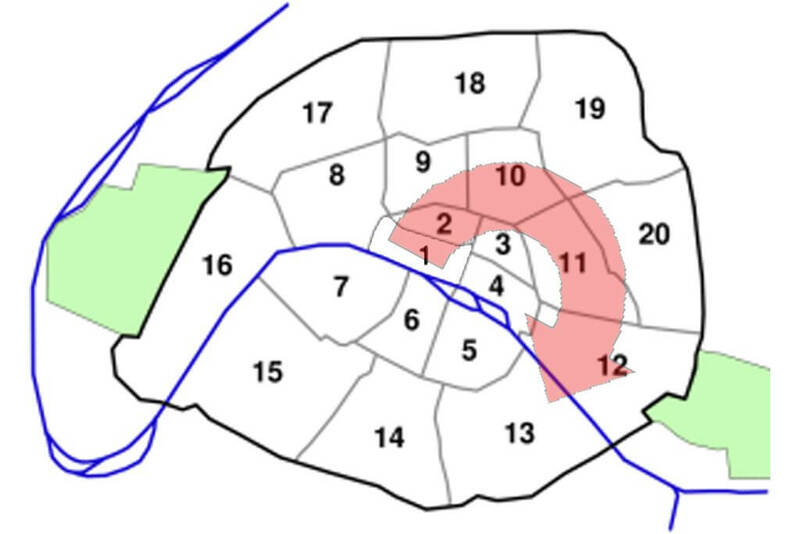 This is the most paradoxical of the 20 arrondissements of Paris. 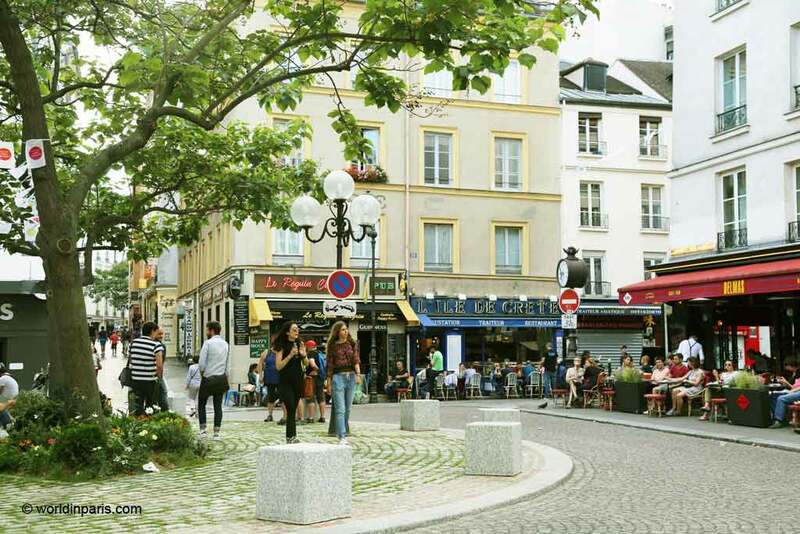 It is home to Quartier Montmartre, the quintessential neighborhood in Paris, but there are also popular zones long forgotten by everybody. Montmartre with its winding cobbled streets is here, yes, but also Little India, Africa, and the infamous Goutte d’Or neighborhood. If you want to stay in Paris 18 for its bohemian, oh so Parisian atmosphere, be sure your hotel is located close to either Pigalle or Blanche metro stations. 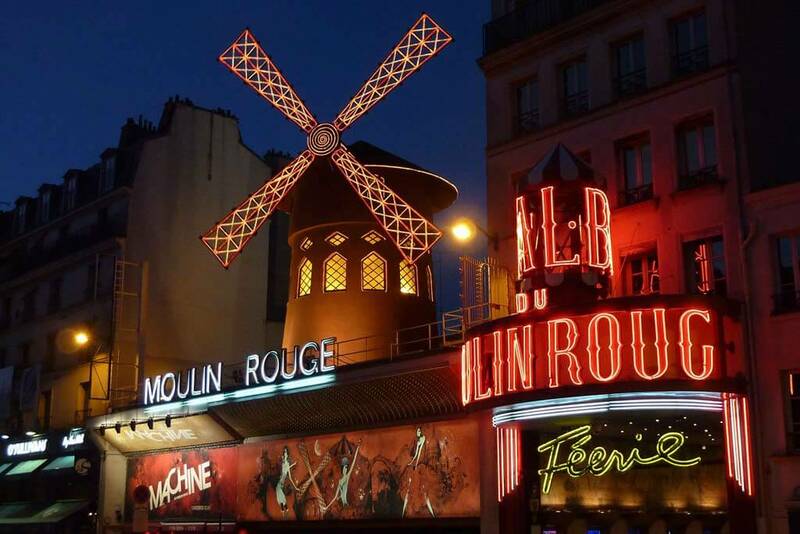 Come to see Bohemian Montmartre, le Sacré Coeur, the Paris of Movies (Amélie, Midnight in Paris) and Moulin Rouge Cabaret. 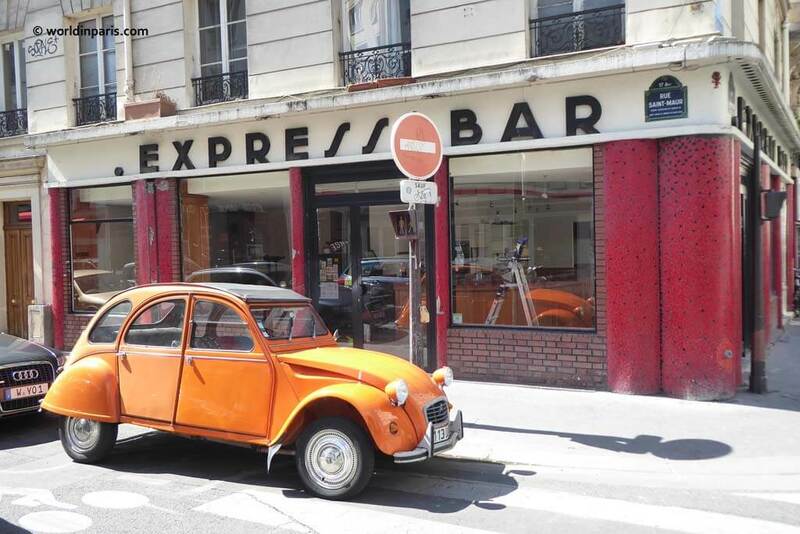 World in Paris’ headquarters is located in Paris 19 and we love this Arrondissement! Paris 19 was a former industrial area developed along Canal de l’Ourcq. Today it is a very popular district with a strong mix of immigrants and a very Parisian soul at the same time. 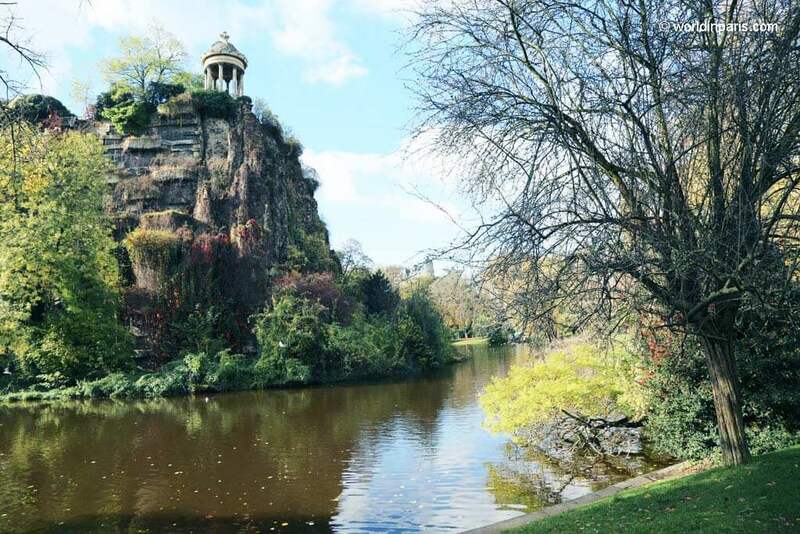 Paris 19 is home to two wonderful parks, Parc Buttes-Chaumont, and Parc de la Villette. We just love to spend time in Park Buttes-Chaumont, which is always full of life and different activities. 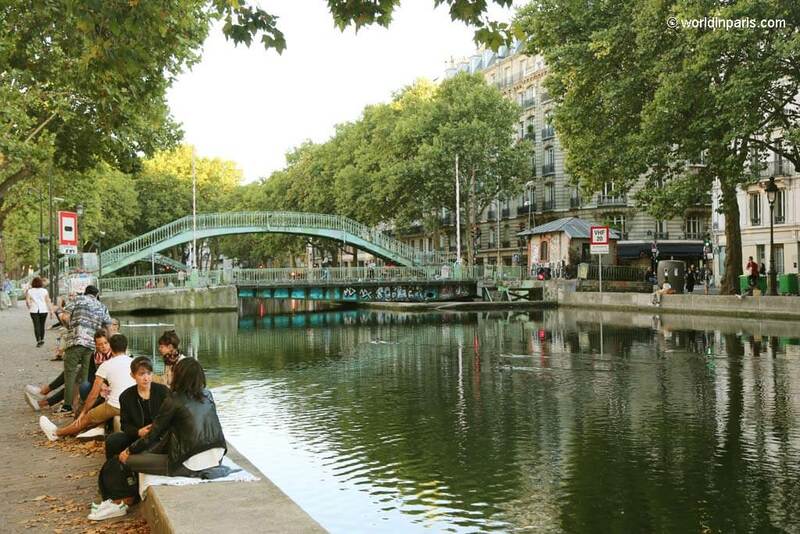 And we also love to hang out at Canal de la Villette for our favorite drinks and people watching. Come to Paris 19 if you want to discover Paris off the beaten path. A few years ago, this was the cheapest district in Paris, that’s why so many young Parisian couples with lower budgets came here to live. Today, Paris 20 is one of the trendiest and most authentic districts of Paris and all this without tourists! Best known for being home to Père Lachaise Cemetery, there are not many other tourist sites in Paris 20. 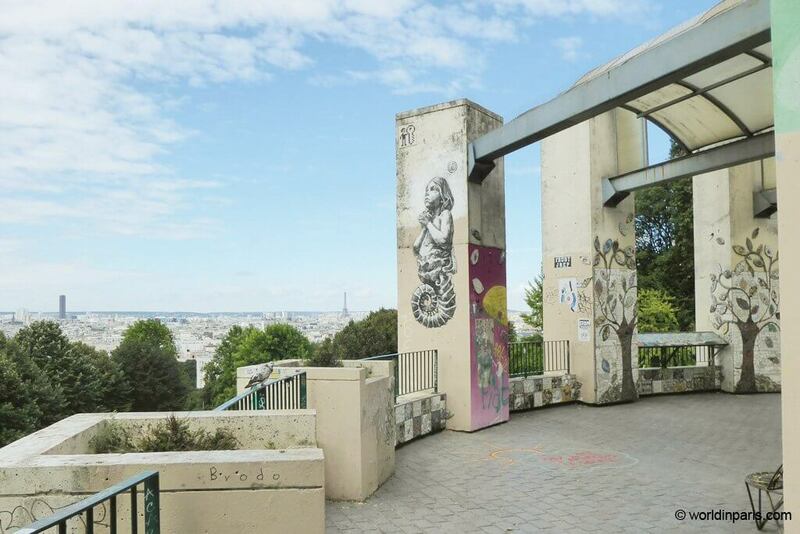 However, it has cool cafes to hang out in with friends, some Street Art and Parc de Belleville offers some of the best views of the City of Light. Come to Paris 20 if you want to enjoy Paris like a local. What is the best arrondissement to stay in Paris? It depends on what you are looking for. 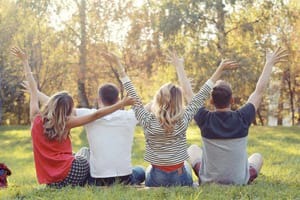 Have lots of money and want to be close to everything? Then choose Paris 1 or Paris 2. Looking for some cool local life, far from the crowds? Paris 20 might suit you very well. Looking for the party? Stay in Paris 11 . . .
What is the best area to stay in Paris for sightseeing? The best area to stay in Paris for sightseeing, in our opinion, it is Paris 1 and Paris 4. What is the best place to stay in Paris close to everything? The best place to stay in Paris close to everything is without any doubt, central Paris Arrondissements: Paris 1, Paris 4, Paris 5 and Paris 6. Are there no-go zones in Paris? What if we are looking for non-touristy things to do in Paris? You are in the right place! Check our posts by arrondissement where we tell you where to sleep, eat and play like a local in Paris. 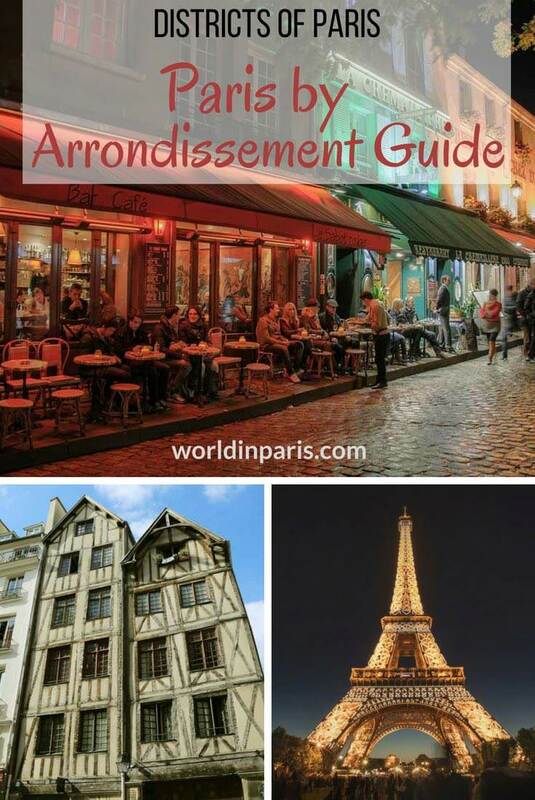 We hope that you like our Paris Arrondissement Guide. Which Paris Districts suit you best? I love this post! I am always so confused by which is which and this helped so much. Thanks!! Wasn’t actually aware that there was a distinction between arrondissements and quartiers, so thankyou for that clarification. Was very useful to have this easy to reference guide with tourist points of interest and degree of exploring like a local. It sounds like the 5th Arrondissement has a pretty good balance of tourist attractions, history and culture, while still being a hub of local life. This is such a well written and informative post! 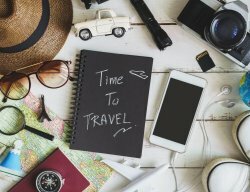 And such great timing – I think we are going to have an extended Paris layover in a few weeks so we’ll have to bookmark this as our guide on where to spend our time. Although I don’t think we’ll be able to afford to check out Paris 8… lol. Paris 20 sounds pretty perfect for us for a few nights stay. Thanks so much for your in-depth research and detailed writing! I guess it’s different for everyone and Paris has something for everyone! Wonderful post. One problem when we go to a country is that we can’t see all of it for what it really is and sometimes the party we go to does not fit our personality and lifestyle. This is good. 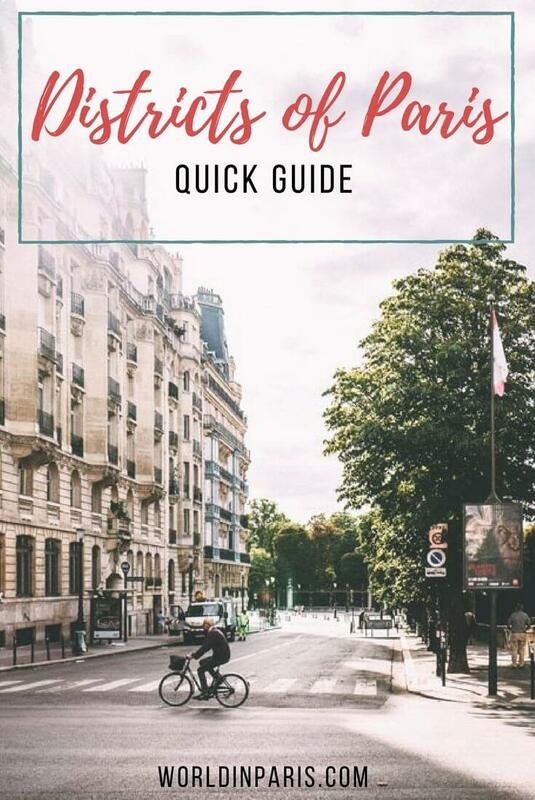 This is a perfect guide to Paris. WIth all the arrondisement clearly described one can make ones own plan how to explore the city . It has been ages since I have been there. It would be good to go and see what has changed in all these years. I was wondering what an arrondissement was when I started this post. It’s interesting that there are so many districts in so small an area, and that each has a town hall. We had a rushed visit the last time we went and got to see all the main tourist attractions, but not really get a feel of the local life. The 13th district interests me for the street art. I love hearing local opinions on Paris. I have been to Paris so often, I sometimes feel like a local (we live 2.5hrs by train south of Paris). I have always loved the 5th, as my father lived there when he was young. but also love further out, the 20th etc, as you can find some fab places to stay and less tourists if you go that little bit further beyond the tourists! This is a great run-down of the arrondissements – merci! I’m glad you explained Arrondissements definition somewhat near the top. I was confused for a bit and felt a bit silly for not knowing that word. Ha I love that only three of them have Paris like a local 3/3. Haha It makes sense that they’re the ones with less to see. I’m curious, how did Amelie hurt Boboland? 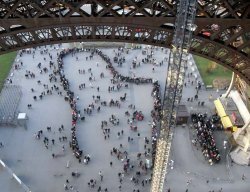 This is such a great information you have compiled for a first-time visitor to Paris. People normally write about tourist attractions and forget that cities are living places and organized for those who live here. I am yet to visit Paris, but I am now keen to check out Paris 20.